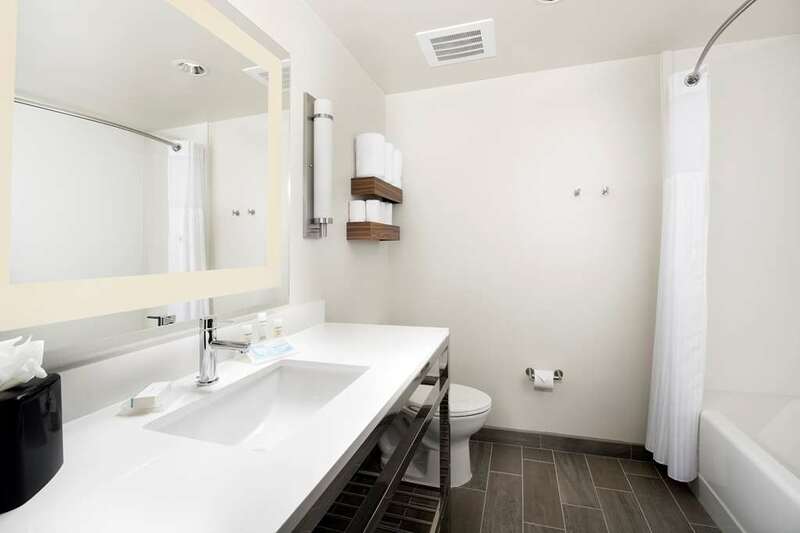 Located nine miles from San Antonio International Airport Hilton Garden Inn San Antonio Downtown is situated near corporate offices such as USAA HVHC Frost Bank and HEB. Host a small meeting or conference at our hotel and celebrate your success with cocktails at the Garden Grille - Bar which overlooks Houston Street. Our downtown hotel is a great home base for taking in local attractions including the historic Alamo Mission and the famous River Walk. After your day out relax on the sun deck near the rooftop pool or work out on the latest cardio and strength machines in the 24-hour fitness center. We also provide a 24-hour business center for your convenience. Let the friendly team at the Hilton Garden Inn San Antonio Downtown hotel show you what hospitality means in Texas. Breakfast and dinner full bar and in room dining. Fine dining steak house. Live Jazz every Friday and Saturday 930P.M. to 130 A.M.
100 Vegetarian restaurant. Gluten free and Kosher options as well. Casual outdoor ice house enjoy food and a wide variety of beers on tap. Playground for the kids and large out door screen. For the meat lover all you can eat served table side of beef chicken pork and sausage prepared in the Brazilian style. Steak seafood and Southwest cuisine on the Riverwalk a local favorite. Local favorite for Tex-Mex cuisine traditional Mexican Pan Dulce and icy cold margaritas and beer. A tantalizing atmosphere of lights and local history. Mariachis stroll the restaurant ready to serenade you /charge/. Open 24 hours. Located at the top of the Tower of the Americas this restaurant will give you a 360 degree view of the city every hour.